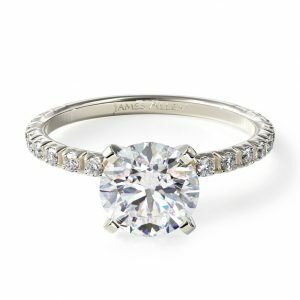 Sarah and Patrick's Proposal on The Knot's HowTheyAsked.com! Patrick and I have actually known each other since the third grade, and we have been dating for the past five years. Needless to say, I had known he was the one for a long time! I was so excited to be spending two weeks exploring Europe with my best friend and the love of my life. Since my camera had broken before the trip Patrick told me that he had set up a photo shoot with a photographer at the Eiffel Tower in Paris. He planned every detail, and even picked my outfit for me! Even though I work at the happiest place on earth, I have never felt more like a princess. Once we started shooting, he seemed really nervous. Finally, he pretended to stretch, and then pointed behind me and said “look at those ducklings over there!”. 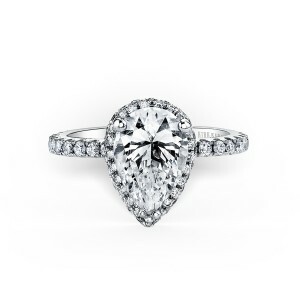 I turned, looked and said “Patrick, there are no ducklings…” but stopped short because when I turned, he was down on one knee, with ring in hand. That was when he asked me to spend the rest of my life with him! The rest of the morning was a happy, bubbly blur as we kissed and drank champagne while running through the most romantic city in the world. I had been trying to figure out when and how to pop the question for a while and couldn’t make up my mind on anything because nothing was good enough for how perfect and special my Sarah is. 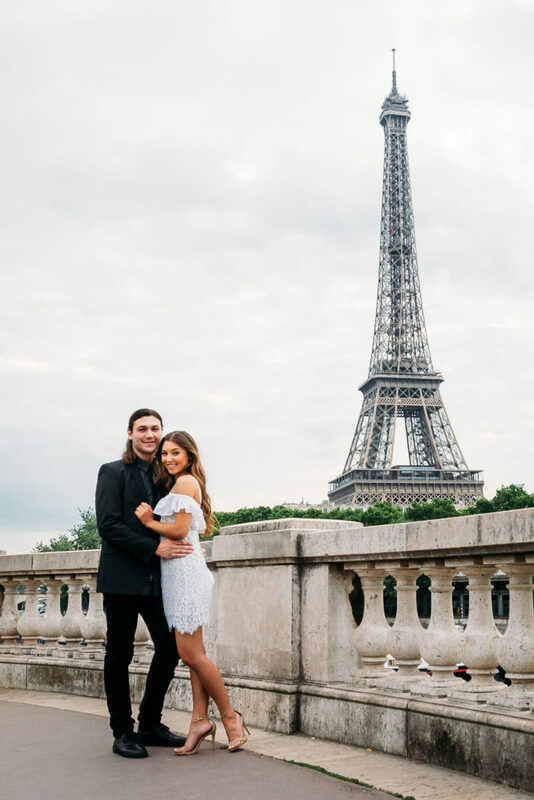 So when we were invited to go to a wedding in Ireland, we decided to make a trip of it and see some other countries in Europe we had always wanted to visit: England, The Netherlands, and France. 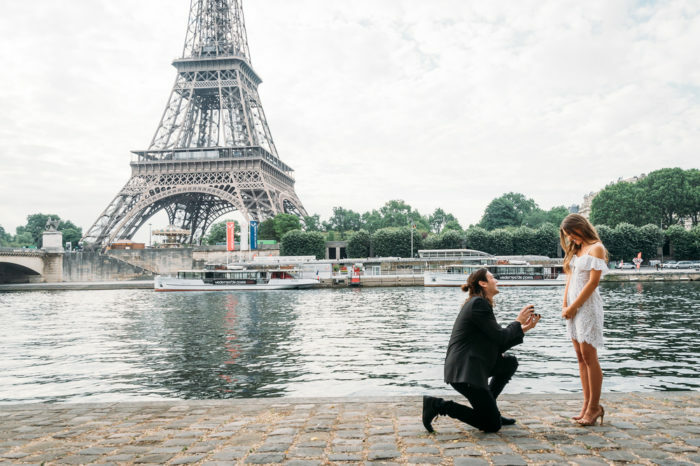 Once we had booked our trip I knew this was the opportunity of a lifetime and finally decided that I would propose in the most romantic city in the world, Paris! 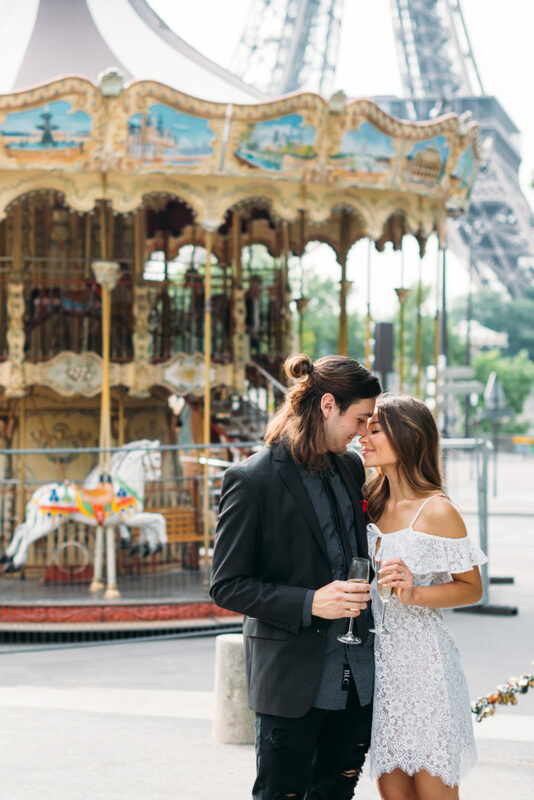 France was the last stop on our trip so I had to keep the ring hidden and keep the surprise a secret for 12 days of travel, which was not easy. 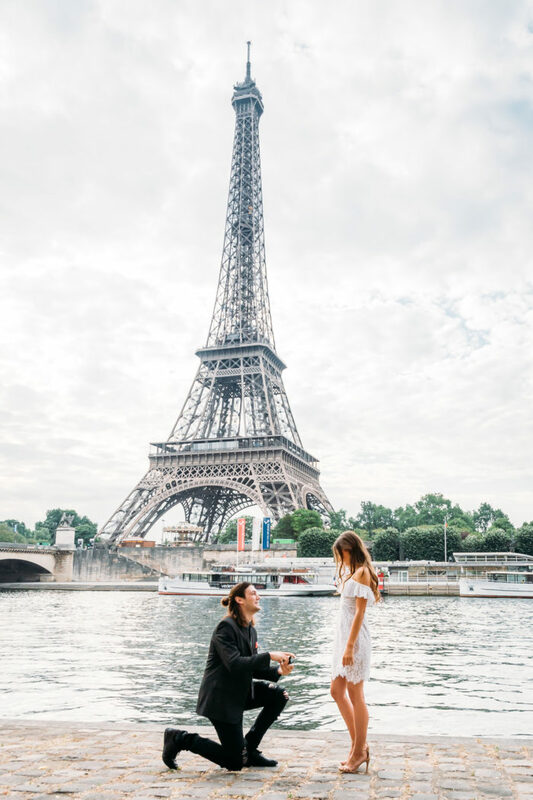 I also wanted to find a photographer to capture the moment without giving away the surprise, so I got in touch with Elizaveta photography, who specializes in surprise proposals in Paris. Since Sarah’s camera had broken right before the trip, I told her I had hired a photographer to do a photo shoot at the Eiffel Tower so we could have the photos as a souvenir and for her blog, ohcaptainsarah.com. 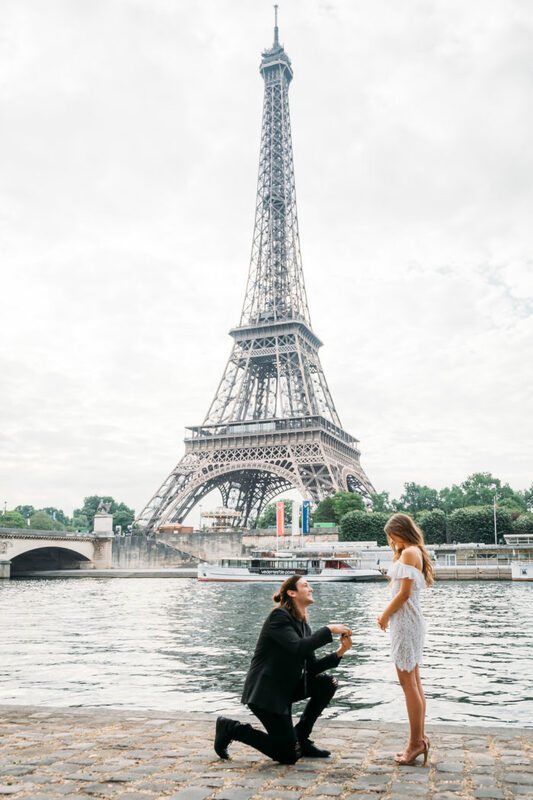 We took some photos in a few locations, and when we finally got to the edge of the seine with the tower behind us, I knelt down on one knee and finally asked Sarah to be my wife. 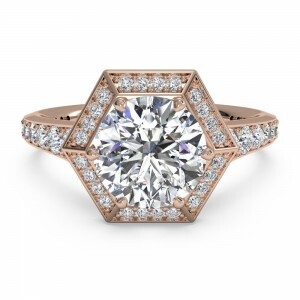 The simple word “yes” has never sounded so good to me as it did in that moment. We couldn’t be happier to be getting married!